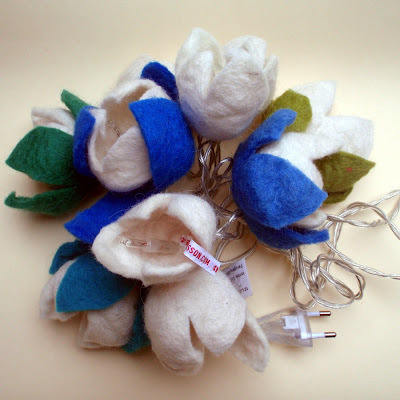 Felted string lights featured in Etsy treasury. Thank you Sharon (the Fuzzy Monkey) ! Mes séries lumineuses en feutre choisies dans le Trésor Etsy. Merci Sharon (the Fuzzy Monkey) ! A question (maybe a dumb one, sorry! ): don´t they get a bit warm when they´re on?